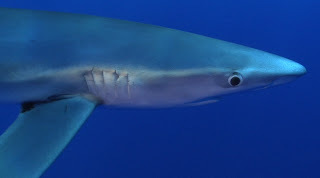 This time on the Shark Task Force, meet the Blue Shark (Prionace glauca). Of all the sharks we've seen, we think this shark is the most stunningly beautiful. It's found off the coast of every continent except Antarctica. 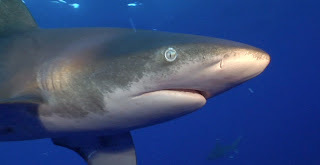 In 1969, the Oceanic White Tip was described as "perhaps the most abundant large animal, large being over 100 pounds on the face of the earth." 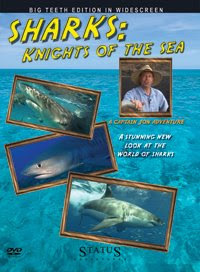 In some spots - estimates are this shark has been wiped out by man, by as much as 99%. It's hard to accurately estimate what's happened to the Oceanic White Tip. 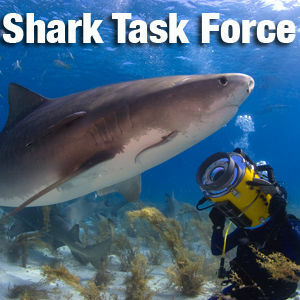 This time on the Shark Task Force, we start a special series and meet this incredible creature, face to face.